I'm obsessed with this new trending checker print!! Of course we have always been aware of checkers but like many other trends from the past they get a little more modernized when they reappear on the fashion scene. 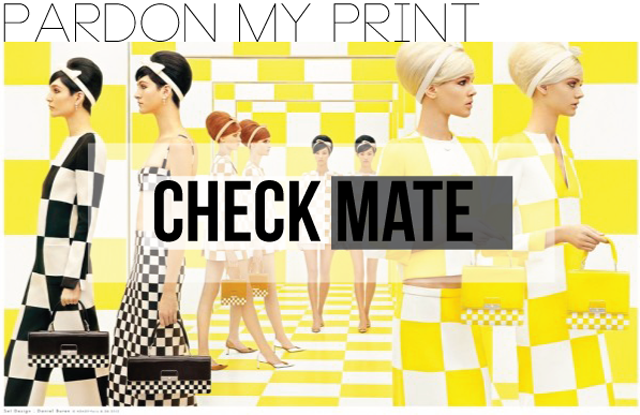 When we think of checkers it's pretty obvious that we immediately picture the print in black and white where now the checker print is popping up in other colours - or even several colours! Louis Vuitton's SS 2013 show was incredible as checkered outfits came down the escalator in different colours and size variations. Many celebrities have already been rocking the print on the red carpet and looking fabulous however the unfortunate part for me is that there isn't a whole lot of it in stores yet!! 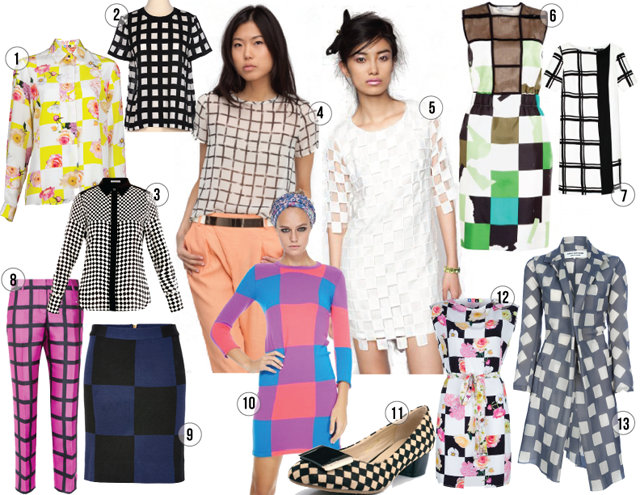 How I love this print most is in bigger sized blocks, checkers infused with a print, like the floral MSGM pieces below, or checkers in the same colour but balanced with sheer blocks like the pixie dress below in white. So what are your thoughts on this bold print? I barely have any checked prints in my wardrobe but your post definitely inspired me to go out and buy some. Thanks for the inspiriation! Love these bold prints so much! Thank you for your comment on my recent post, I am now following you on GFC as well!